In this white paper, we will discuss tear down, maintenance and repair of the FPE TC Series spring drive mechanisms. We stock many of the components that will be discussed and for those who might be interested, we offer full tear down and overhaul services for each of the FPE TC Series spring drive mechanisms. As a part of the discussion, a comparison of the models that were produced will be offered and the key differences in the models will be highlighted and described. The information we provide will help to ensure you properly identify your model and are positioned to recognize and procure any replacement components that you ultimately need as a result of your inspection. Key activities that should be completed, including major items that should be inspected and maintained, will be listed and discussed. Helpful tips to aid in tear down and inspection will also be shared. 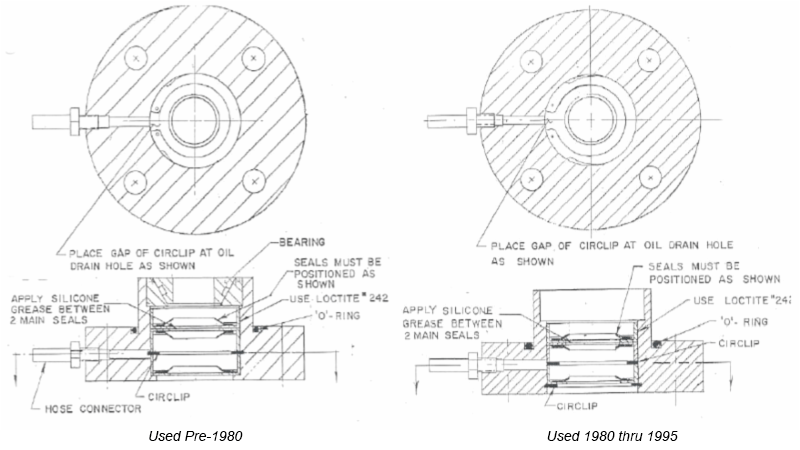 Two major variations of the FPE TC spring drive mechanisms were manufactured. Much of the design and “componentry” of each variant were similar, but they were not identical. The first variant model numbers are TC-525 and TC23-2. The second variant model numbers are TC-546, TC15 and TC23-1. Referring to the series of figures below (labeled Figure 1), the main differences between the model variants are labeled and described. Drive spring barrel assembly for the TC-525 has a 1″ diameter shaft, while the same shaft on the TC-546 has a 3/4″ diameter. Dimensions and materials of the vertical drive shaft, worm gear and worm gear support structure are different. Dimensions and materials of the lock plate and first shaft assembly are different. 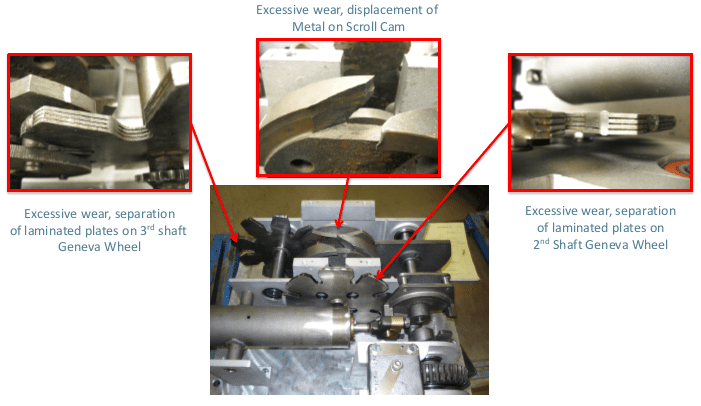 The next few figures depict examples of the “typical” wear conditions that can be found during the tear down and inspection of the FPE TC Series spring drive mechanisms. Descriptions of the specific wear conditions are presented in Figures 3 through 7, including visual identifiers which help illustrate the worn condition and aid in pinpointing locations of key components that should be inspected. 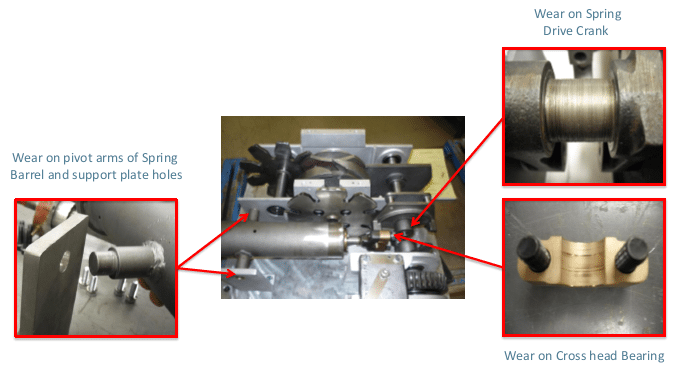 Figure 3 above shows the locations and types of wear that can occur on the spring barrel mount and support plate holes. Typical wear on the spring drive crank and the cross head bearing is also depicted. 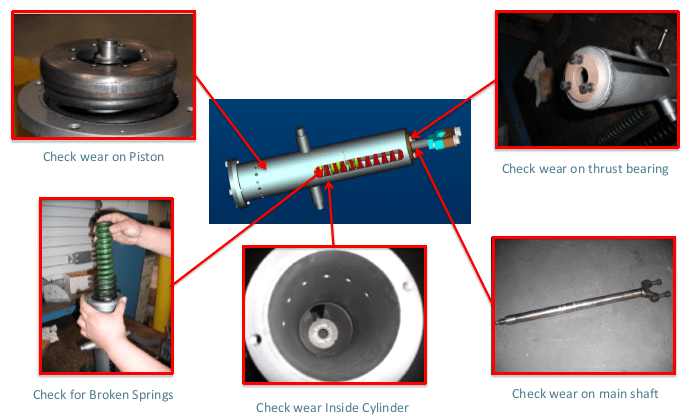 Figure 4 above provides visualizations of each of the major inspection points on the main spring drive barrel assembly. Brief descriptions of the individual items are included for reference. Figure 5 below shows the locations and types of wear that can occur on the Geneva wheels and scroll cam. Excessive wear and separation of the laminated plates on both Geneva wheels are shown. NOTE: The scroll cam depicted in the picture has excessive wear. 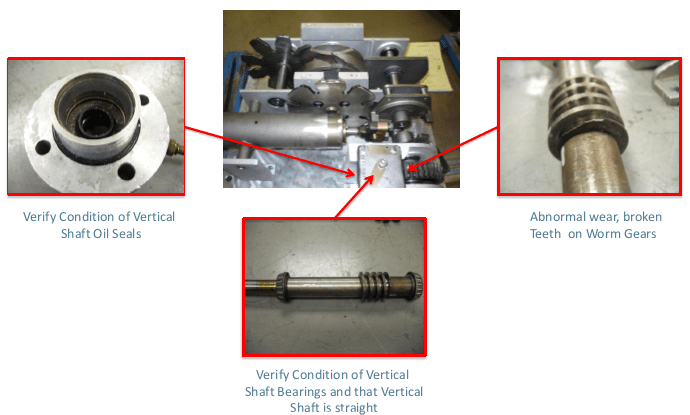 Figure 6 below shows the locations and types of wear that can occur on the vertical shaft. Pay special attention to worn or broken teeth on the worm gears. Also, inspect the area where the shaft seals contact the shaft to ensure that grooves have not worn into the shaft. Ensure the vertical shaft is straight and verify condition of the oil seals. Refer to Figure 7 below for detailed information on the two types of vertical shaft oil seal assemblies that were used. 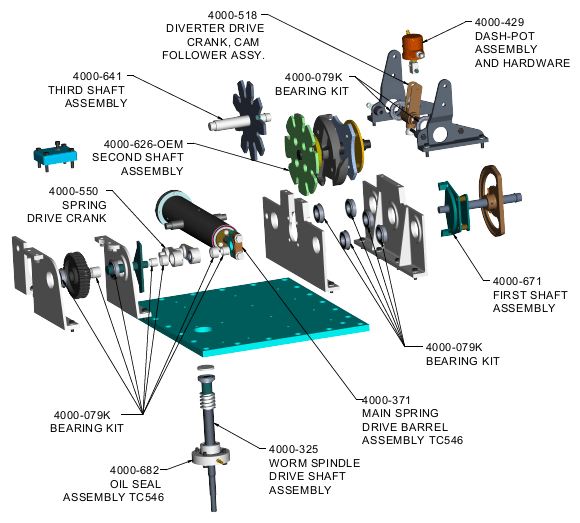 Figure 7 above contains schematics of the two oil seal assembly configurations for the FPE TC Series spring drive mechanisms. When inspecting your FPE TC spring drive mechanism, this is a component that should always be inspected in detail and care should be taken to verify the condition of the oil seal assembly. For the TC-546, the replacement part number is 4000-682. For the TC-525, the replacement part number is 4000-731. 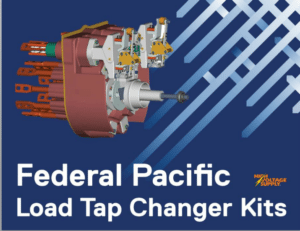 To learn more about all components available for the Federal Pacific line of LTCs, contact a member of our sales team at 1-800-338-5526. Also, don’t forget about our library of easy-to-navigate, 3D catalogs designed to help you quickly identify and locate hard-to-find components for LTCs and oil circuit breakers. The library also contains several of the SPX Transformer Solutions line of Transformer Health Products®.